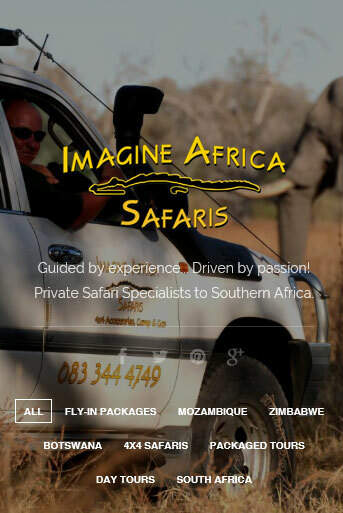 18 Day Safari / Close Animal Encounters. Arrive at Camp Kalahari, nestled amongst the acacias and Mokolwane palms of Brown Hyaena Island, on the edge of the Makgadikgadi Salt Pans, adjacent to the Makgadikgadi-Nxai Pans National Park, Botswana. This traditional bush camp has ten spacious Meru tents, comprising six twin tents, three double tents and one family unit which has two adjacent tents, accommodating two Guests in each with an inter-leading bathroom. All Guest tents have en-suite covered bathrooms, hot and cold running water and flush loos along with four poster beds, crunchy cotton sheets, rich textiles, Moroccan kilims and hot water bottles in winter. DUE TO AN ONGOING HABITUATION PROGRAMME, IT’S POSSIBLE FOR GUESTS TO GET UP CLOSE & PERSONAL WITH THESE CAPTIVATING CREATURES! Salt pans, the remnants of the world’s largest ever super-lake, were formed. 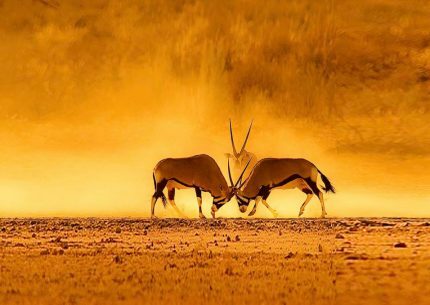 Enjoy an evening game drive back to camp and spot some unique desert species such as aardvark, bat eared foxes, aardwolves, and the elusive brown hyaena, which is the third rarest large carnivore in Africa, with only about 8,000 in the wild. Brown Hyaenas are the consummate desert specialists, surviving in arid areas where both food and water are scarce. A timid, nocturnal species rarely seen by humans, but in spite of being solitary foragers they are very social animals, living in clans of up to 10-12 hyaenas. 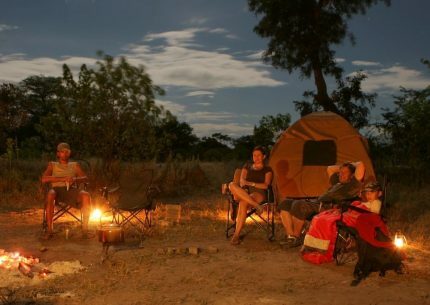 Tuck into a lamp lit dinner back at Camp Kalahari. joyed in camp on cooler and rainy days, or as a picnic on warmer, sunnier days. Due to an ongoing habituation programme, it’s possible for Guests to get up close and personal with these captivating creatures. Remember, they are not tame – just used to our non-threatening presence. On chilly mornings, you might well find a meerkat snuggling up to you for warmth. Or, in the absence of a termite mound or tree, using your head as a sentry lookout post… By spending quality time with these incredibly social, superbly adapted animals, you will be able to see how they interact with each other and their environment. You also get the chance to see the desert through the eyes of a meerkat – which, despite the fact that it’s only a foot off the ground, is a pretty spectacular vantage point, and definitely one of the most special and memorable game experiences you will encounter in Botswana. 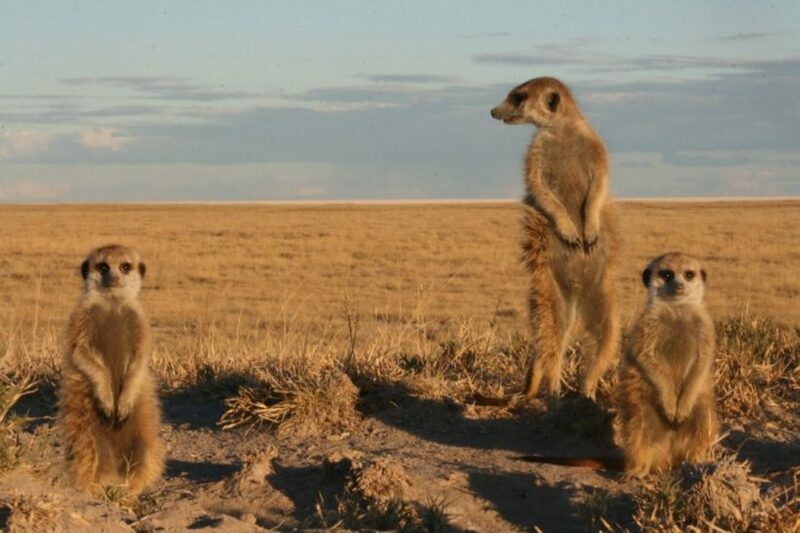 Leave the meerkats as they continue with their eternal foraging, to visit a remote cattle-post. Here you will learn about the traditional culture of the Batswana people. 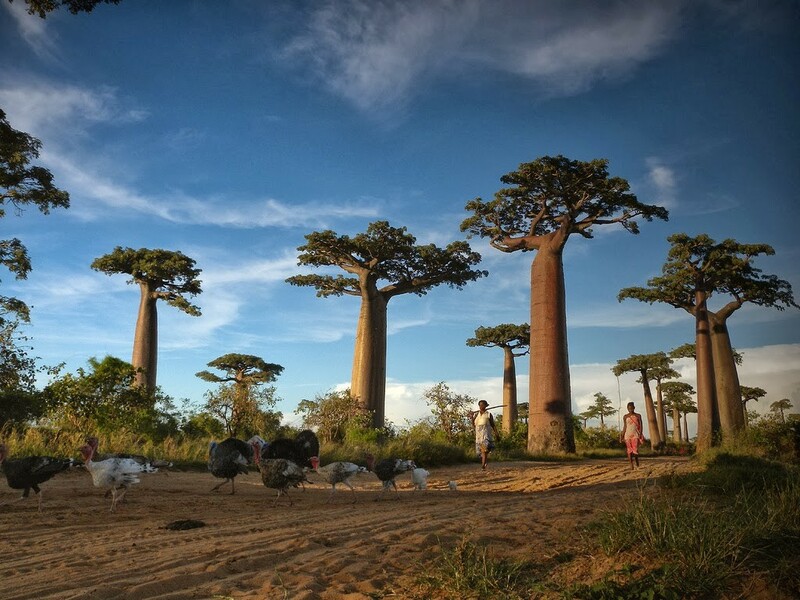 Close by is the famous Chapman’s Baobab (Also known as the Seven Sisters) which is acknowledged to be the third largest tree in Africa, and was the campsite of early explorers like Livingstone and Selous when they pioneered the area. 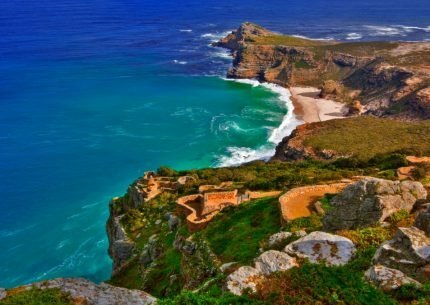 This gives you an opportunity to gain a fascinating insight into the history of the early explorers. Return to camp for a refreshing lunch and siesta. After tea, travel down to the pans where you will be given a brief safety talk before mounting your trusty quad bike to head off across the pans. Watch the sun set and the stars rise. This is one of the only places in the world where the silence is so complete you can hear the blood circulating through your ears. There is not one visual landmark to be seen, and one swiftly loses one’s sense of perspective where 16000 square kilometres of baking soda void are, inhabited only by you and a few gazillion invisible brine shrimp! Spend the morning walking with the Zu/’hoasi Bushmen. 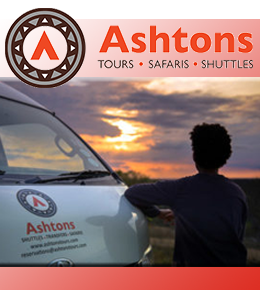 Uncharted Africa has pioneered and passionately supported cultural tourism in Botswana since the company’s inception in 1993. It has long been our belief that it is a vitally important tool in terms of preserving this unique, but sadly fast-vanishing, culture. We have been working closely with the Zu/’hoasi people of the Western Kalahari for many years and are privileged to have Bushmen women, men and pre-school children comprised of four generations, living at Jack’s Camp in the Makgadikgadi. Offering a window into the past, they teach us how they have survived in this harshest of environments, using their vast and ancient knowledge of plants, animal behaviour and survival skills. The Zu/’hoasi lead a semi-traditional lifestyle, and share their traditional hunting and food-gathering skills as well as how they make jewellery and hunting equipment, it is a glimpse into their fast-vanishing, traditional way of life, but by no means an attempt to keep them frozen in time. Chalets, public areas and our swimming pool take advantage of the 180 degree view of the riverbanks lined with fluttering reeds visited by an ever changing array of water fowl and birds. It is a delightful place to come home to after a day spent exploring. Our widely acclaimed restaurant serves a la carte meals from an ever changing menu. Dusk is spectacular, with the sun setting the river ablaze as is slowly dips behind the trees. Camp Savuti is a small intimate camp accommodating a maximum of 10 guests in comfort and style creating a new type of “luxury camping” in a public campsite. To further enhance the experience the pre-erected tents have been placed to ensure privacy and a modest level of exclusivity. At Camp Savuti 5 meru tents have been placed on platforms overlooking the Savuti Channel. The tents are large, spacious with en-suite facilities and an open shower almost identical to the type you would encounter at most luxury camps/lodges in Botswana. The guest area consists of an intimate lounge, bar and dining area overlooking the Savuti Channel. 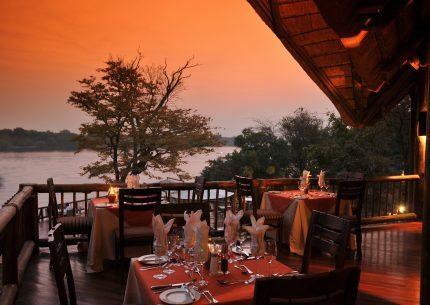 Situated on the lush banks of the Chobe River in Botswana, the Chobe Safari Lodge is only 100km west of Victoria Falls. 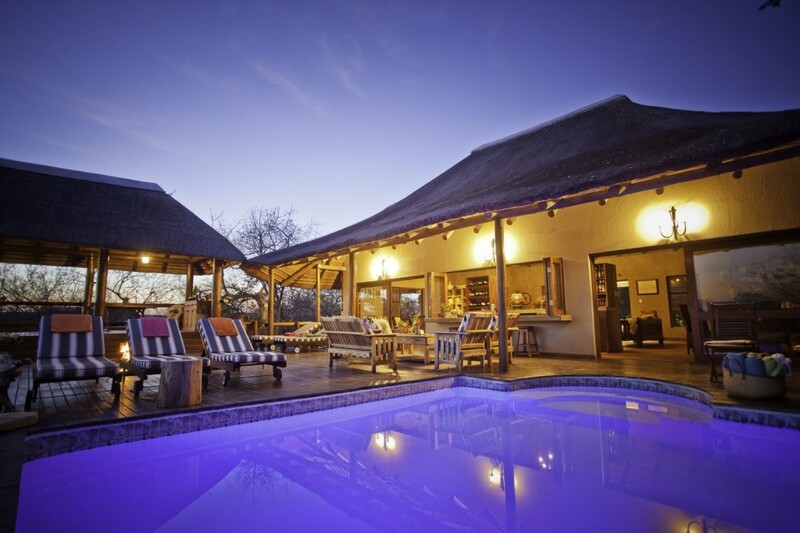 This Chobe national park lodge is just 5 minutes drive from the famous wildlife reserve. 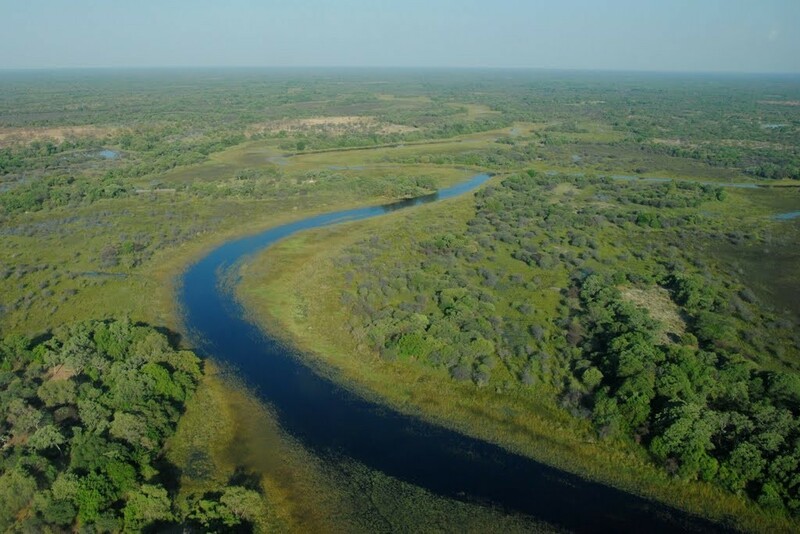 The national park is one of the parks in Africa with the highest concentration of elephant, the Chobe safari lodge is within the park with 110 beds overlooking the magnificent river and Caprivi floodplains and is often considered the best ‘value for money’ in the area. The latest additions to the cottages are 32 safari rooms. Individually decorated, they offer every comfort. All rooms have superb views directly over the river and have stunning open plan bath-rooms with deep baths, all are equipped with air conditioning, satellite television, direct dial telephone and tea and coffee making facilities. 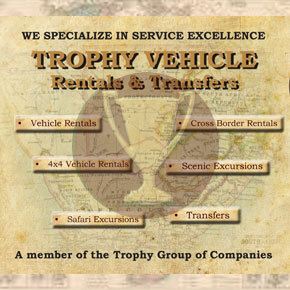 (Lodged) – Optional Fishing activities available from here… and we shall do day visits to Chobe National Park. Kwa Nokeng Lodge is a family-owned business in the Tuli Block in Botswana, situated along the Limpopo River at the Martin’s Drift border post. Translated from the local language Setswana, Kwa Nokeng means, ‘at the river’. Kwa Nokeng will be your first stop coming into Botswana and the last one going out. 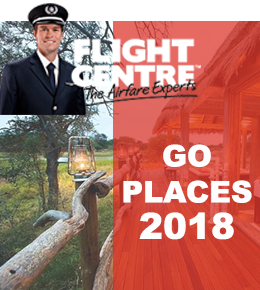 If it’s accommodation and a hearty meal around the fire you’re looking for, or adrenaline-pumping adventure, or simply just to fill up and stretch your legs, Kwa Nokeng has something for everybody. Set in the Balule Nature Reserve, Sausage Tree Safari Camp promises rich game viewing and spectacular views, as our boundary with Kruger National Park is open and the Northern Drakensberg Mountains form a majestic back drop. This family-owned and operated Safari Camp pride itself on the warm atmosphere offered, delicious food, beautiful views and African style safari tented accommodation. Our unassuming Camp promises an intimate nature experience in a relaxing environment where you can unwind, kick your shoes off and be yourself. Our African safari-styled tents are nestled in between Marula, Knobthorn Acacia and Sausage Trees and overlook a dry river bed, the bush and the Northern Drakensberg Mountains. Each tent is spacious and built in an elevated position with it’s own special view. 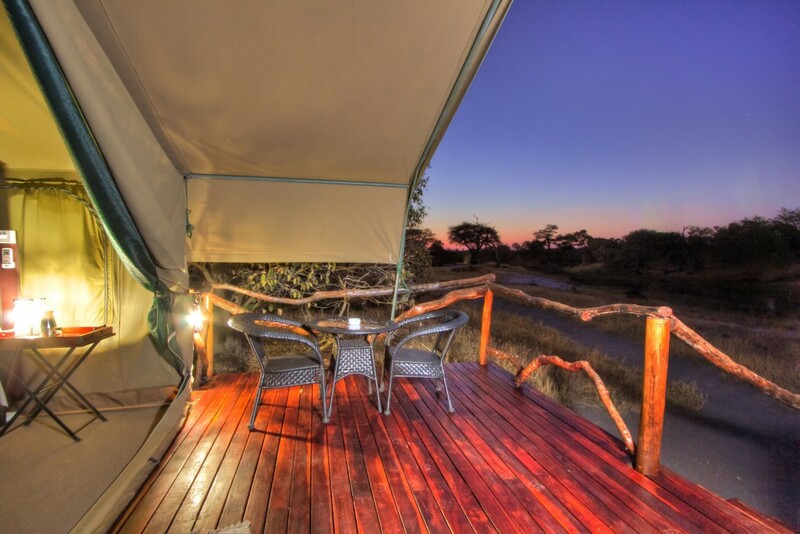 The tents are fully furnished and have their own private deck and ensuite bathroom with a bath and outdoor shower. Inverter or Eco based Air-conditioners are fitted in each tent ensuring that you stay cool during those warm summer nights… and can be set to warm during those colder nights in winter too. Insect gauze on all the windows and doors keep the insects outside where they belong. In the main reception area, visitors will find a lounge for those lazy afternoons, and a dining area that keeps visitors dry when it rains. There is a cosy bar complete with a variety of first class South African wines. On the open deck outside, there is a sunken swimming pool and fireplace where visitors can enjoy those magical African nights. 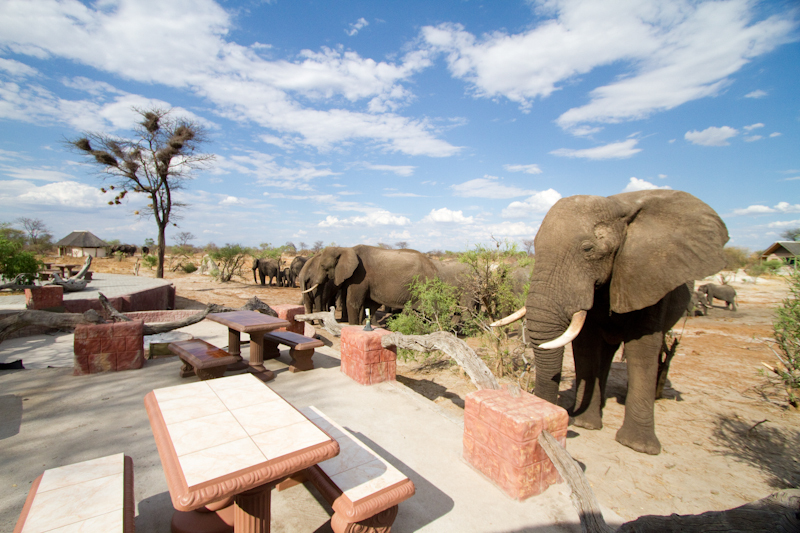 During the day, the deck has unrivalled views of the surrounding bush, dry river bed, waterhole and mountains in the background. Sausage Tree Safari Camp’s resident staff will ensure that everyone has a memorable stay and becomes part of our continually growing family. Shangana has been created and built by local Shangaan people, and forms a place of great pride, a way of preserving a rich heritage and an example of South Africa’s great cultural diversity Midway between the Blyde River Canyon and the southern Kruger National Park, the residents of the traditional villages of Shangana invite guests to share in the way of life of the Shangaan people. The picturesque villages are set in the shade of ancient trees in a reserve of forest and grassland, and are open every day. A bustling African market village forms the centre of Shangana, where local craftspeople make and trade their craft. 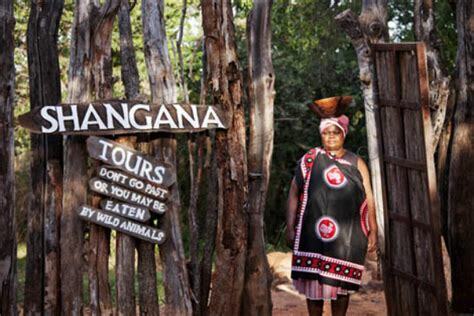 From here, trained guides lead guests down to villages on daytime tours.